If you want to increase your heart rate to burn belly fat, focus on aerobic exercises. These exercises cause your heart to beat faster while asking your muscles to exert lots of energy in a short amount of time. 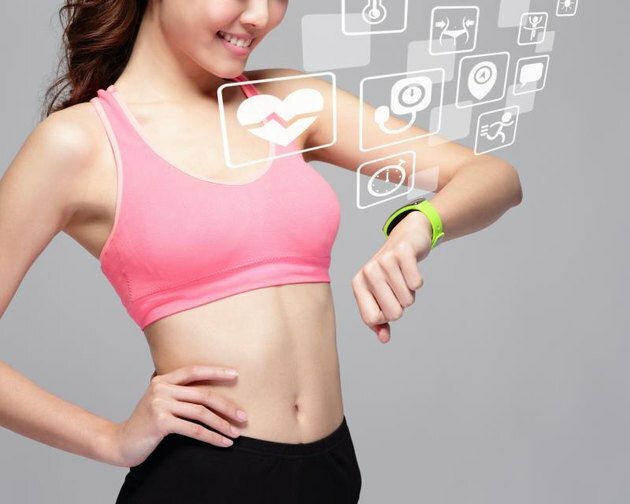 Monitoring your heart rate is valuable because it may feel difficult to judge if you’re pushing yourself hard enough and burning fat if you don't monitor the number. The American Heart Association suggests at least 150 minutes of moderate-intensity exercise a week or 75 minutes of vigorous exercise to foster good health. Increasing your activity level increases the amount of calories you burn a day, which helps you burn the fat around your belly. The unwanted belly fat you're trying to lose is comprised of both visceral and subcutaneous fat. The fat just under the skin, or subcutaneous fat, that bulges or that you can pinch isn't the most dangerous fat either. 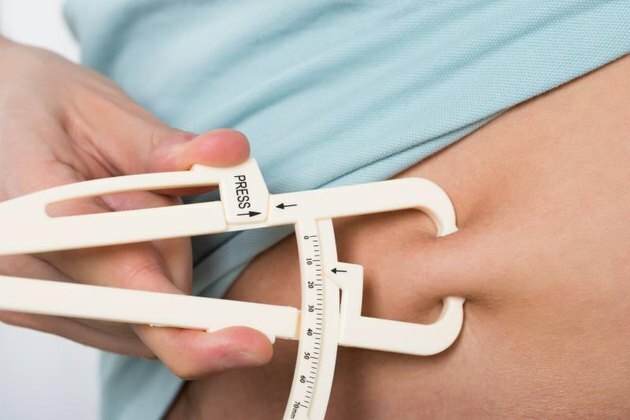 The hidden fat you can't see -- the kind doctors warn against -- is known as visceral fat. This is fat that gets packed around organs like your heart, liver and kidneys. Carrying more visceral belly fat increases your risk of coronary heart disease, insulin-resistant type 2 diabetes, high blood pressure and stroke. Engaging in activities that raise your heart rate like swimming, biking, running, elliptical machines or walking up flights of stairs helps you to sweat and increase calorie burn. This increased calorie burn will help your body get rid of the visceral fat surrounding your organs. Physical activities cause your heart to beat at different rates -- depending on the intensity. Running will cause your heart to beat faster than walking. Carrying groceries up five flights of stairs requires your heart to work harder than if you were walking down the stairs empty handed. Once you know your max heart rate, you’ll better be able to determine the intensity of your workout and whether you should increase it a bit or back down a little. According to The Center for Disease Control, exercise is considered moderate when your heart rate stays between 50 and 70 percent of your heart rate max. For a 50-year-old man, to maintain moderate intensity exercise he would need to keep his heart rate between 85 and 120 beats per minute. Of course, increasing the intensity of your workout and pushing your heart rate over the 70 percent mark will increase the calories you burn. However, if you’re new to an exercise regimen this isn’t a good idea. The American Heart Association suggests those just starting to exercise should aim for 50 percent of their heart rate max and slowly, over a few weeks, increase that rate. Starting too fast can lead to discouragement, an early burnout or injury. Take it slow at first and focus on making consistent gains. As you get accustomed to exercising more and your heart gets stronger, you can add in interval training to burn more belly fat. HIIT Training, or high-intensity interval training, is a great way to turn up your metabolism, turn on fat-burning responses in your body and ultimately shred those pounds padding your belly. This style of training will have you rotating between exercises that ramp up your heart rate and exercises that bring it back down. One way to do this is to spend 30 seconds exercising at a high intensity level, such as sprinting, and then spend 60 seconds exercising at a lower intensity, such as walking. For example, gradually increase your heart rate up to 50 to 65 percent of maximum over about 10 minutes of warming up. Then make your first exercise keep your heart rate between 50 and 65 percent of your maximum heart rate for about two minutes. For the next minute, increase your intensity, taking your heart rate up to 75 to 85 percent of maximum. Continue alternating these levels of intensity for 20 to 25 minutes.